You are probably curious about car door scratch repair because you returned to your vehicle in a parking lot, or even your driveway, to discover that it now has a deep scratch or two on the door or doors. Whether it was done maliciously, such as someone keying the door, or accidentally, it is an unsightly problem. The good news is that it is not at all impossible or difficult for even the deepest scratches to be overcome. 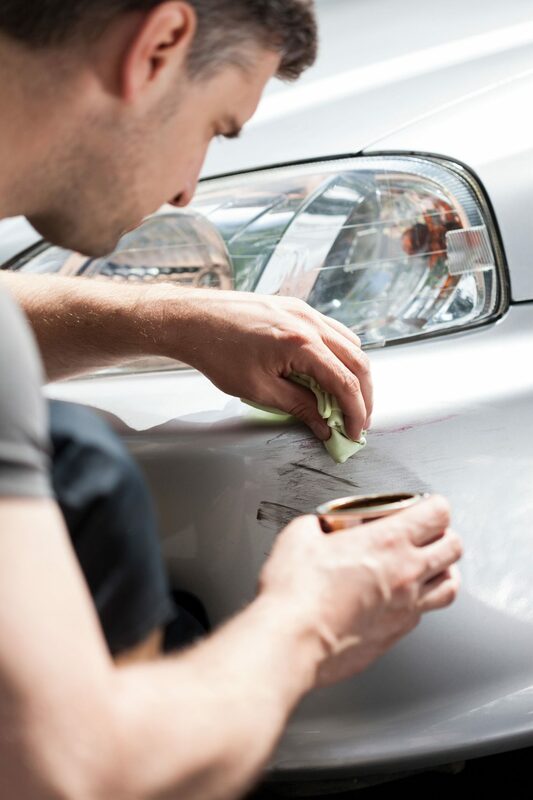 Touching up the paint – This is the fastest and least costly approach and is often okay from a distance but very noticeable when up close to the car. It is also likely to peel or fade and can even allow some rust to form over time. Even a good car shop may not do the best job with this method. Airbrushing – This is using the same paint as that which the car was originally painted, and it is quite fast and affordable. It has a finish similar to the original paint and is less likely to peel than a touch-up paint job. However, it is not an ideal repair for a deep scratch. Full repair – This is a very involved and detailed solution that requires the door to be sanded down, the scratch filled and sanded and then the entire panel repainted. This is, in essence, erasing the scratch and just repainting the entire door. 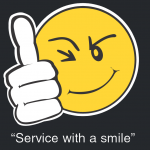 It is quite costly, but it ensures the very best outcome and requires professionals. Remember that the very best scratch repair is going to be done by experienced professionals. They are likely to have expertise in everything from glass to paint and be able to get your job done very quickly. 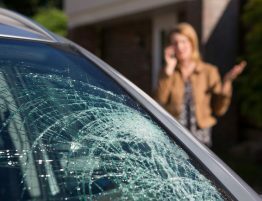 If you are in the Aurora, CO and need an expert door or glass scratches repaired or removed, turn to A+ Auto Glass with years of experience in the area.